My daughter and I chanced upon this relatively new- Roti Shop at the Lower Ground floor Level in Power Plant Mall and since we're craving for some laksa, we decided to give it a try. The resto has a street food vibe with its mismatch chair color and formica tables. The place is also well-lit and looks inviting. The place was full but we were lucky to spot an unoccupied table near the counter. 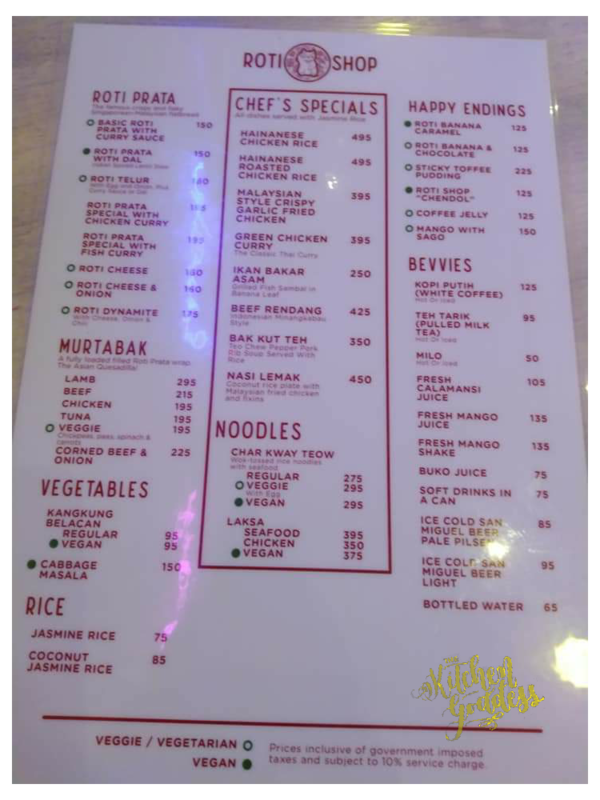 There's Laksa on the menu as well as Nasi Lemak which I wanted to order. And looking at the menu, the restaurant serves Indonesian, Malaysian and Singaporean favorites. 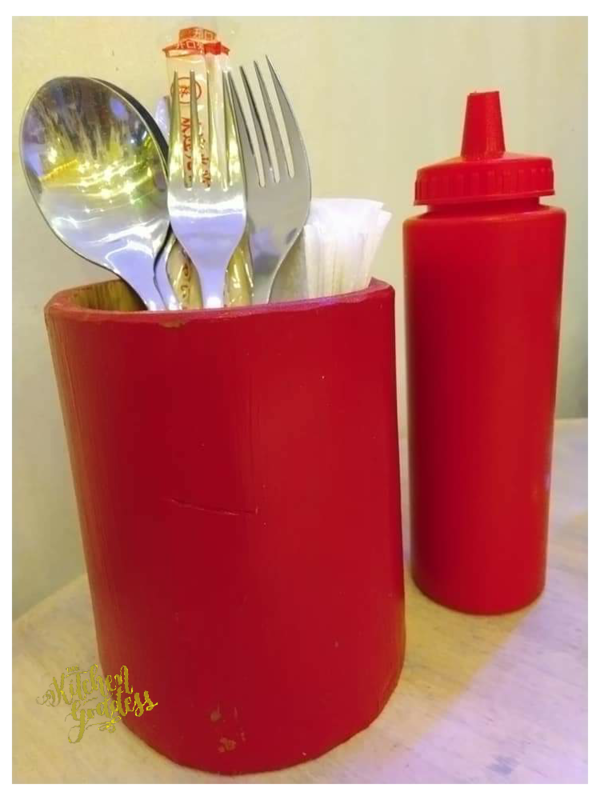 The red cutlery holder also looks cool. You would think its "plastic" but is in fact bamboo which they colored red. 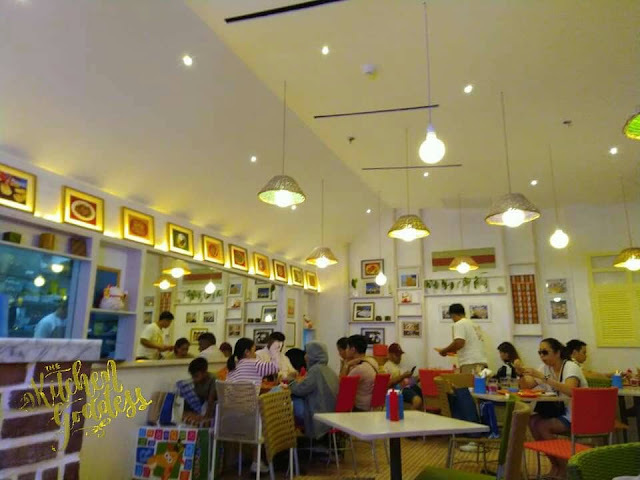 It does brighten up the table as you eagerly wait for your food. 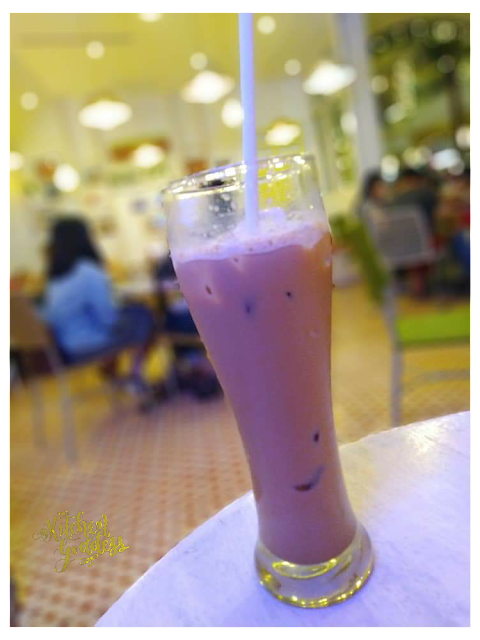 Since we're planning to have some coffee before going home, we agreed to share Teh Tarik or the pulled milk tea. You can have it hot or cold. Its good although I wanted it to have more "tea" taste to it. But my daughter disagreed with me since she almost finished off the whole drink by herself. 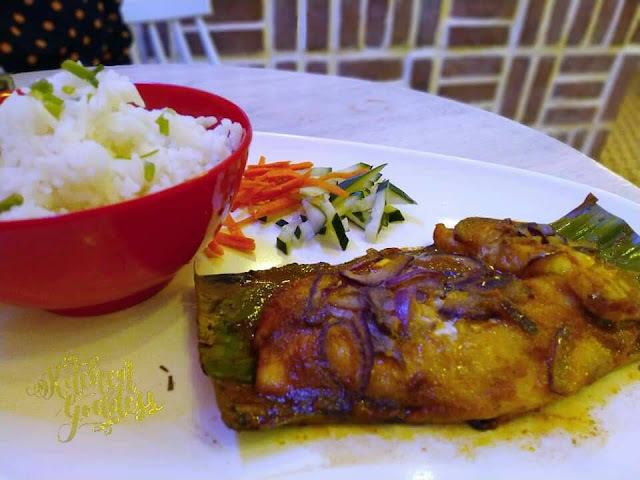 I was supposed to order the Nasi Lemak but decided to change my order to Ikan Bakar Asam, which was grilled fish in sambal sauce. I was quite excited to order this since hubby loves fish, and I was thinking of recommending the dish to him. I asked the waiter what fish they serve and mentioned that its "Tilapia." I was a bit disappointed though when the dish arrived because the serving looks so small. Upon tasting, the sambal sauce was good but I think it would have tasted better with other much more flavorful fish. It doesn't taste grilled also. 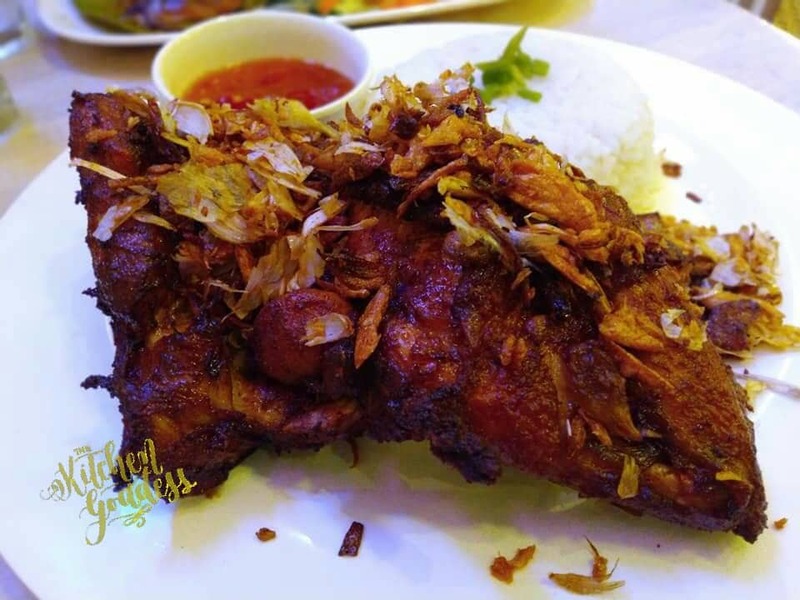 Daughter had the Malaysian Style Crispy Garlic Fried Chicken which doesn't really look appetizing but it was good that borders on delicious. And you can really taste the garlic. It comes with sweet chili sauce that needs to "fire" if you ask me. Overall, it was a filling meal since we finished it all off the plates (we're hungry, that's why). But the dishes that we ordered were short of being spectacular. Price-wise, its not that friendly on the pocket. Might come back again for the Laksa and Nasi Lemak though, will keep every one updated.